This session is an informative workshop for UConn faculty, staff, and students interested in learning about the MakerBot Z18 and 2X printers in the OPIM department's Gladstein Lab (BUSN 391). The discussion will include an overview of 3D printing technology, a presentation on the equipment available in the Gladstein Lab, and resources to learn more. 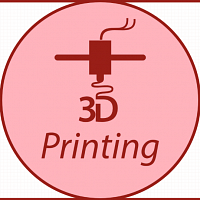 This workshop is designed for those who may be new to 3D printing or experienced users who would like to learn more about the resources available in the Gladstein Lab. Seating in the lab is limited, please complete the workshop registration form to reserve your spot. This session is an informative workshop for UConn faculty, staff, and students interested in learning about 3D Printing technology. This event is a collaboration between OPIM Innovate and CIBER (Center for International Business and Education & Research) who invited CALT Dynamics to present. This workshop is also part of CIBER’s Global Entrepreneurship Speaker Series. Presenters will speak to their company’s development of high precision photolithography based 3D printers. This session is an informative workshop for UConn faculty, staff, and students interested in learning about Microcontroller Applications. The discussion will include an overview of how to use and program Raspberry Pi Microcontrollers. Lecture will be followed with different exercises around real-world application will be set up for hands-on learning. This session is an informative workshop for UConn faculty, staff, and students interested in learning about Text Analytics. The discussion will include an overview of how software can be used to find the patterns in different forms of text. Given an understanding of the fundamentals of predictive modeling practices we will demonstrate its used in various business situations. We will be providing additional resources for those who would like to learn more. Seating in the lab is limited, please complete the workshop registration form to reserve your spot. This session is an informative workshop for UConn faculty, staff, and students interested in learning about SAS Analytics. The discussion will include an overview of the SAS platform, Money magazine’s most valuable salary-driving skillset. Students will be exposed to the programming language, the tool suite, and how it’s used in industry. A brief presentation & lecture will be followed by hands-on SAS programming examples. We will be providing additional resources for users who would like to learn more. Seating in the lab is limited, please complete the workshop registration form to reserve your spot. This workshop is for UConn students, staff and faulty interested in getting an introduction to the SQL language. It will take beginners through the basics of writing a SQL statement against single and multiple previously created tables; it will cover basic manipulation functions on columns and rows; and basic creation of tables. You can expect to understand the fundamentals of database structure, Learn how to write SQL queries to filter, aggregate and manipulate data, understand concepts through examples and hands on practice. This session is an informative workshop for UConn faculty, staff, and students interested in learning about Visual Analytics. The discussion will include an overview of the Tableau software platform and how it is used in visualization. We will touch upon the best practices of data visualization and the strengths and weaknesses of telling a story with data using Tableau. We will be providing additional resources for those who would like to learn more. Seating in the lab is limited, please complete the workshop registration form to reserve your spot. This session is an informative workshop for UConn faculty, staff, and students interested in learning about Predictive Modeling. The discussion will include an overview of Predictive Models and how you can start to build them. It will include an introduction to the core principles of predictive modeling, followed by a hands-on example using SAS JUMP to build your own models. We will be providing additional resources for users who would like to learn more. This session is an informative workshop for UConn faculty, staff, and students interested in learning about Unity Virtual Reality Programming. The discussion will include an overview of Virtual Reality technology, a presentation on the equipment available in the Gladstein Lab, and resources to learn more. This workshop is designed to go over the capabilities of Unity for VR as well as for those who may be new to the VR experience. We will be providing additional resources for users who would like to learn more. This session is an informative workshop for UConn faculty, staff, and students interested in the Augmented Reality and its application in different industries. The discussion will include an overview of how Augmented Reality works and the integration into the Splunk analytics platform. Real world demonstrations of augmented reality will be shown. We will be providing additional resources for those who would like to learn more. This session is an informative workshop for UConn faculty, staff, and students interested in learning about Artificial Intelligence. The discussion will include a brief history of, and introduction to, Artificial Intelligence. Additionally we will be exploring the concepts of machine learning and neural networks as well as discussing the real world implications of AI progression on the future. We will be providing additional resources for those who would like to learn more. This session is an informative workshop for UConn faculty, staff, and students interested in learning about the Internet of Things. The discussion will include an overview of the concept of Internet of Things, a presentation on current and future technology resources available at Gladstein Lab. This workshop is designed for those who may be new to this concept or experienced users who would like to learn more about the resources available in the Gladstein Lab. This session is an informative workshop for UConn faculty, staff, and students interested in learning about the Internet of Things using Splunk. The discussion will include an overview of the concept of Internet of Things, Splunk and the use of Splunk in the future development of IOT applications. While a prior understanding of the fundamentals of these two concepts can be helpful, it is not required for participation in this workshop. This session is an informative workshop for UConn faculty, staff, and students interested in the Internet of Things and its application in different industries. The discussion will include an overview of how IoT technology works and the integration into the Splunk analytics platform. Real world demonstrations of IoT sensors will be shown. We will be providing additional resources for those who would like to learn more. This session is an informative workshop for UConn faculty, staff, and students interested in wearable technologies and their real world applications. The discussion will include an overview of wearable microcontrollers like Floras and Gemmas. Each participant will be building their own wearable project for hands-on experience. Different projects will be available. We will be providing additional resources for those who would like to learn more. This session is an informative workshop for UConn faculty, staff, and students interested in learning about Drone technology. This event is a collaboration between OPIM Innovate and Candoo Drones, the developers of a platform that connects drone operators with companies. We will discuss how Drones have disrupted a number of industries including insurance, logistics, medicine, and entertainment. This will lead us to a demonstration of different types of drones and how to fly them. This session is an informative workshop for UConn faculty, staff, and students interested in learning about Blockchain technology. The discussion will include an overview of blockchain technology as well as its applications across multiple industries. The startup RapidQube has partnered with our initiative to provide instructors and training on Blockchain. They will touch on its strengths and weaknesses in areas such as cryptocurrency, accounting, law, livestock, diamonds, and more. We will be providing additional resources for those who would like to learn more. Seating in the lab is limited, please complete the workshop registration form to reserve your spot. This session is an informative workshop for UConn faculty, staff, and students interested in learning about how Blockchain technology is being used in business environments. The discussion will include an in depth look at the various types of implementations that are being seen in different industries. The startup RapidQube has partnered with our initiative to provide instructors and training on Blockchain. This is a follow up workshop to Blockchain Introduction and it is recommended that you attend both. We will be providing additional resources for those who would like to learn more. Seating in the lab is limited, please complete the workshop registration form to reserve your spot. This session is an informative workshop for UConn faculty, staff, and students interested in learning about Blockchain technology. This event is a collaboration between OPIM Innovate and the Werth Institute for Entrepreneurship & Innovation. Presenters will speak to Blockchain technology becoming a transformational technology that has the potential to create new economic foundations. We will discuss how Blockchain allows businesses to share data and exchange assets quickly and efficiently and how it has to the potential to transform finance, supply chains, and healthcare. This will lead us to a discussion of how all of these factors will be a guiding influence in the insurance industry of the future. We will be providing additional resources for those who would like to learn more. Seating is limited, please complete the workshop registration form to reserve your spot. This session is an informative workshop for UConn faculty, staff, and students interested in learning about Blockchain technology. This event is a collaboration between OPIM Innovate and RapidQube Digital Solutions. Presenters will speak to Blockchain technology becoming a transformational technology that has the potential to create new economic foundations. We will discuss how Blockchain allows businesses to share data and exchange assets quickly and efficiently and how it has to the potential to transform finance, supply chains, and healthcare. This workshop is for UConn students, staff and faulty interested in getting an introduction to Gamification. It will take beginners through the basics of how gamification is prevalent in our every day lives and how data analytics is a key part of what shapes user-based design. We will explore how to design a gamified experience through the process of design thinking. This session is an informative workshop for UConn faculty, staff, and students interested in learning about tools for programming. This event is a collaboration between OPIM Innovate and JetBrains, the developers of PyCharm, RubyMine, DataGrip and more. Presenters will speak to how their apps can be used with different technologies and programming languages. This will lead us to a discussion of how students have access to all these tools through JetBrain’s educational offerings. We will be providing additional resources for those who would like to learn more. Seating is limited, please complete the workshop registration to reserve your spot. This session is an informative workshop for UConn faculty, staff, and students interested in learning about personal IT security. The discussion will include an overview security best practices on the internet, social media, and connecting to different networks. We will touch on the many known exploits in IT systems today and how to best protect yourself as a user and consumer of these technologies. We will be providing additional resources for those who would like to learn more. Seating in the lab is limited, please complete the workshop registration form to reserve your spot. This session is an informative workshop for UConn faculty, staff, and students interested in learning about Corporate IT security practices. The discussion will include an overview of how companies are safeguarding their data and infrastructure in the current security environment. Different types of software will be explored showing best practices and growing trends in the current business environment. We will be providing additional resources for those who would like to learn more. This workshop is for UConn students, staff and faulty interested in learning more about open source computing environments and software, and why Linux is the 3rd most popular Operating System. Using a friendly virtualization tool we'll easily transition from one live distribution to the next, exploring tiny OS cores with minimal user interfaces to full-distributions with robust customizable user interfaces and tons of free installed software. If you can imagine it you can find a way to do it with Linux and open source software regardless of budget.